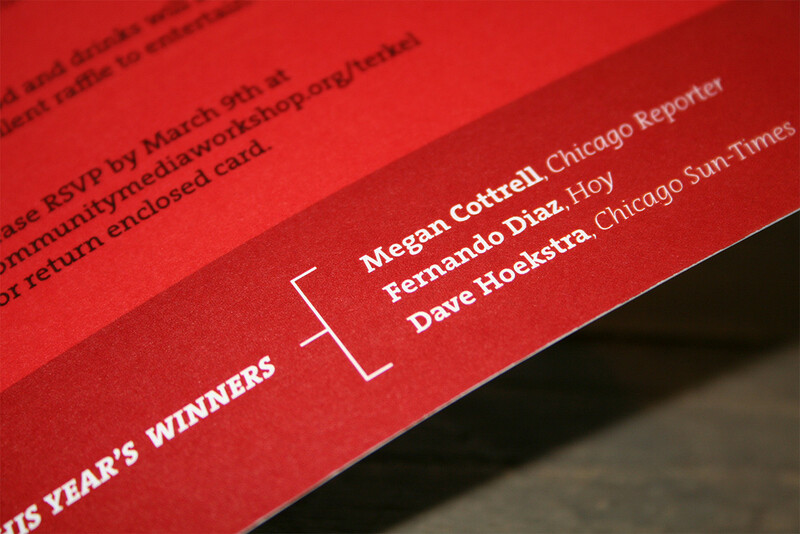 For several years LimeRed Studio created a five-part invitation system and program book for The Studs Terkel Awards from Community Media Workshop (now Public Narrative). 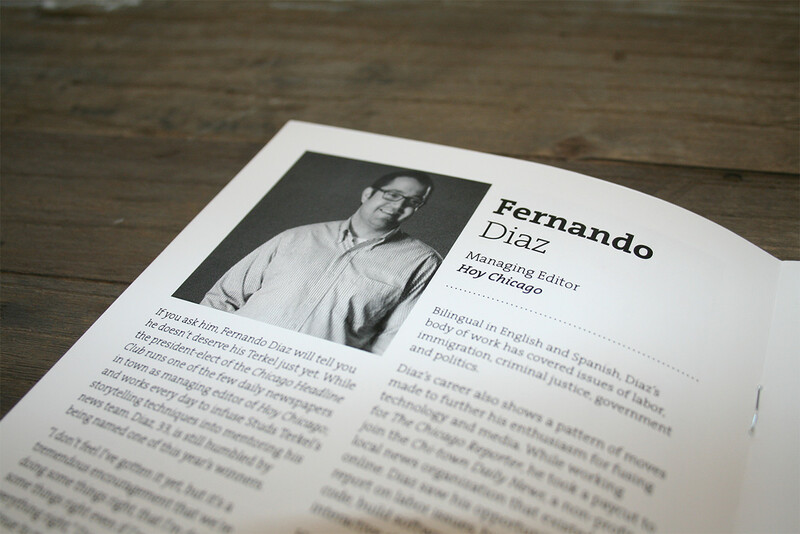 The awards honor journalists who go the extra mile in news reporting. 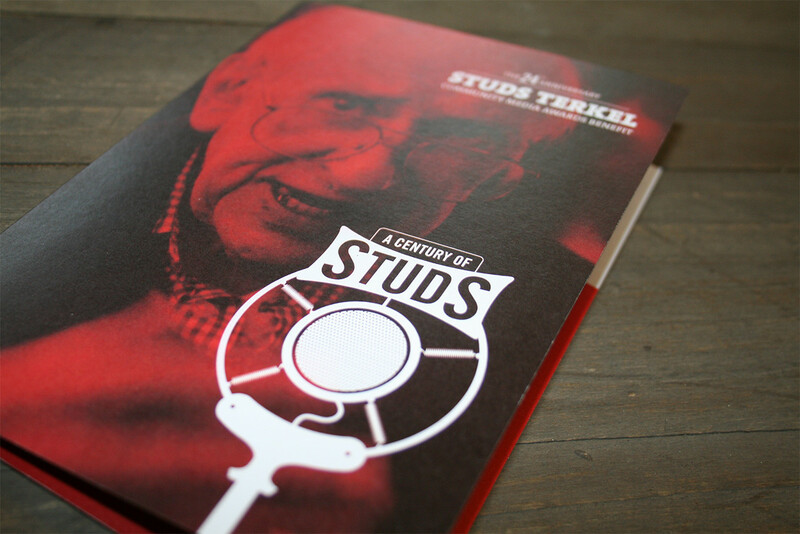 The 24th Annual Studs Terkel Awards celebrated Studs Terkel's 100th birthday with the theme: "A Century of Studs." 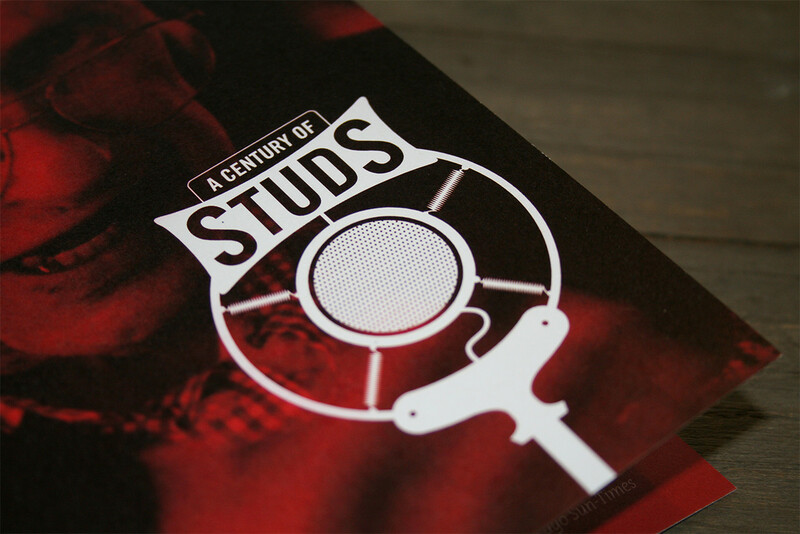 For this project I created a microphone logo, honoring Stud's radio presence, as well as layouts for the invitation and envelope, a vellum insert, a response card and envelope, as well as a program book.